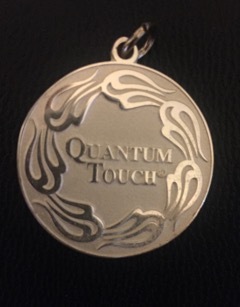 BE THE FIRST TO ORDER YOUR QUANTUM-TOUCH® PENDANT NOW! THE STORY AND QT PENDANT SCOOP FROM RICHARD GORDON! On Thanksgiving of 2015, a friend told me something that was so remarkable, it led to a series of 58 mind-blowing experiments, which have become the foundational information for my new book, “The Secret Nature of Matter”. (It will be released in 2017). As promised, here is some amazing information about your pendant. This pendant is charged with my very best energy, and it will maintain this energy indefinitely. If you touch a person with the pendant for even a fraction of a second on their hand, shoe, hair, or anywhere, it will immediately untwist their pelvic and occipital torsion. If you have a line of people holding hands, just touch the person at one end, and the whole group will be untwisted instantly. Hold it to a wound, a drink, a supplement, etc. 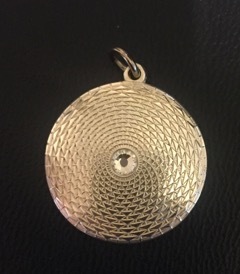 The entire range of applications for this pendant are yet to be discovered. In one of my experiments, I found that it is possible to entangle many objects together so they will function as one. I have permanently linked all of the pendants together. If you charge your pendant with your best energy, ALL OF THE PENDANTS WILL HOLD YOUR ENERGY, AND THE ENERGY OF EVERYONE ELSE WHO CHARGES THEM! I found that objects are capable of holding energy from multiple people with multiple intents. There doesn’t seem to be any limits. On charging your pendant: When you are feeling great, run energy into the pendant with any sort of healing intention. It could be with the intention to accelerate healing, to heal an organ, the brain, the emotions, or anything that inspires you. You can bring in the energy and essence of your gifts, and place that into the pendant. You can add a charge to your pendant any time you like… Do it once a week, or whenever. If you’re feeling a deep sense of gratitude, flood the pendant with that. It only takes 15 or 20 seconds to charge the pendant well. Hold it in your hands, use level II, or both. Think of this… We now have about 1200 certified QT practitioners. Imagine if they have all put their best into the pendant. Don’t worry if unhappy people flood it with their negativity, love is infinitely stronger than the suffering. There are many healing pendants on the market. The problem is that when you wear them, your body almost immediately acclimates to that energy, and you won’t feel it anymore. The QT pendant can be different every single day! As hundreds or thousands of people continue to charge them, it won’t be the same pendant two days in a row. 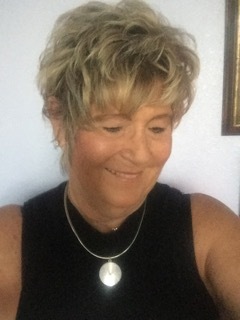 As instructors and practitioners constantly update and energize their pendants with their joy, healing, wonder, gifts, etc., the pendants will become even more amazing over time. My job is to be sure that this batch of pendants and all future ones will be entangled and function as one. The pendants should be in the Quantum-Touch store in a matter of weeks. People will be able to purchase them for $120.00 each. FROM CAROL LEE BEFORE THEY HIT THE QT STORE!